Whether you are living in a city or in the suburbs, you are always vulnerable to potential threats from intruders. So, if you are planning for a home improvement project, think about the best security solution available in the market. If you are still confused take the cue from here. Read this blog to know the importance of diamond security doors, the new face of home security. This new age security door has become popular among homeowners to businessmen all over Australia. Have a look at the amazing benefits provided by them. These doors are an excellent choice for home security. Install these doors and they will work as the first line of defence against an intrusion into your home. You will be happy to know that these doors are made from strong metal like aluminium and require special devices to open them. Compared to plastic or wooden frame the frames of these grille doors are super strong which makes it quite difficult for criminals to get through. Diamond grille security doors are manufactured from tempered aluminium which has a thickness of 7mm which provides great strength and durability. This robust material is unaffected by the harsh UV rays and they are anti-corrosive. This means, they do not rust, crack, rot or bend like wooden doors. They can even resist extreme weather conditions like harsh sunlight, damp, rain, and snow. 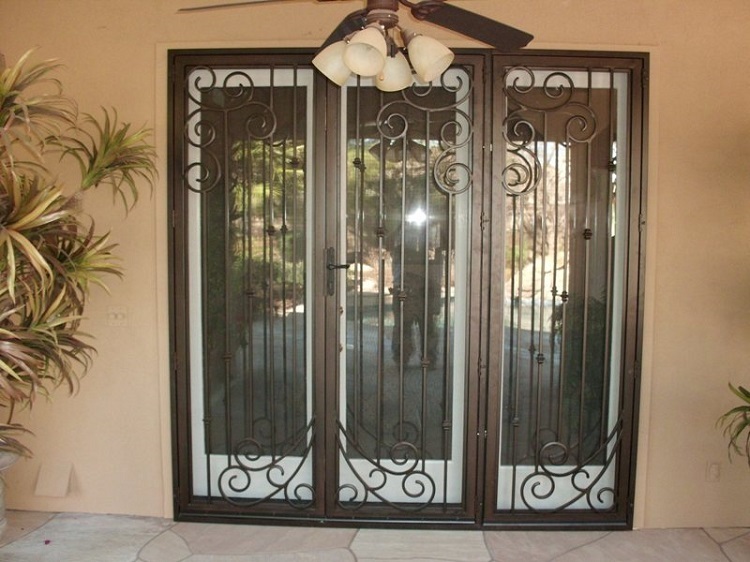 Grille security doors are a great way to enhance the look and feel of the interiors of your home. They allow more light and air circulation into the house. Proper ventilation is essential for the better health of your family members. Moreover, allowing more sunlight into the house will not only lift up the mood of you near and dear one, but it will also make the room of your house look larger and spacious. Are you tired of shelling out large amount money on electricity bills every during summer months? Install these doors and let the natural air cool your home thereby reducing the use of air-conditioning machine and other electrical devices to lower the temperature inside your home. Diamond grille security doors are specially designed in one way mesh which provides an element of privacy to your home. You can enjoy the view of the beautiful outdoors with the peace of mind that the one-way mesh is reducing the visibility into your house from the outside. If you are wondering whether installing these doors will reduce the aesthetic appeal of our home, think again. These doors are available in a variety of options. Available in sliding and hinged model, they are a perfect fit for any type of home, traditional or modern. Moreover, they come in a variety of grille patterns and colours to beautifully blend with the exterior design of your home and match with your personal style. In case you are wondering to sell off your apartment or home in the future, installing a diamond grille security door will not only impress and raise interest amongst potential buyers but will also increase the curb value of your home. With a 7mm strand thickness, diamond screens doors meet the requirements of Australian Security Door Standard AS5039 allowing you to get the best product in hand. I hope now you are aware of the importance of grille security doors for your home. Apart from offering you top notch security; these doors have a number of benefits that you can’t ignore. So, what are you waiting for? 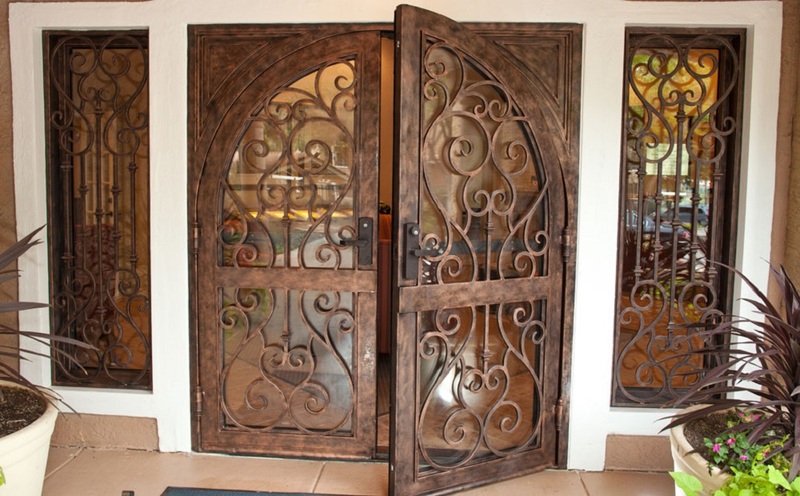 Visit the most efficient and reputed security door manufacturer in your city and let them assist you in getting the best grille door for your home. Here is a little word of advice. Make sure to choose a brand who offers you installation service for the door as well. Author Bio – Sarah Johnson is a lifestyle blogger specialising in home improvement. In this blog, she writes about the many benefits of Security Doors Melbourne. Read this blog to know why they are important for you home and how they can enhance the appearance of the doors and windows of your home.